I think that is one of the most remarkable sayings that ever fell from the lips of Jesus Christ... He says that if we are trusting in Christ, the Father loves us as He loves the Son. Marvelous love! Wonderful love! That God can possibly love us as He loves His own Son seems too good to be true. Yet that is the teaching of Jesus Christ." 13 He that hath an ear, let him hear what the Spirit saith unto the churches"
"These are the only messages to men that God has written with His own hand. He wrote the commandments out twice, and spoke them aloud in the hearing of Israel. "After the battle of Pittsburgh Landing I was in a hospital at Murfreesboro. In the middle of the night I was aroused and told that a man in one of the wards wanted to see me. I went to him and he called me 'chaplain'- I was not the chaplain- and said he wanted me to help him die. I said 'Yes.' He asked me to read it again; and I did so. AND THE REWARDS THAT ARE IN STORE FOR FAITHFUL SERVICE. AS GLEANED FROM SACRED SCRIPTURE. "If I understand things correctly, whenever you find men or women who are looking to be rewarded here for doing right, they are unqualified to work for God; because if they are looking for the applause of men, looking for reward in this life, it will disqualify them for the service of God, because they are all the while compromising truth. They are afraid of hurting some one's feelings. They are afraid that some one is going to say something against them, or there will be some newspaper articles written against them. Now, we must trample the world under our feet if we are going to get our reward hereafter. If we live for God we must suffer persecution. The kingdom of darkness and the kingdom of light are at war, and have been, and will be as long as Satan is permitted to reign in this world. As long as the kingdom of darkness is permitted to exist, there will be a conflict, and if you want to be popular in the kingdom of God, if you want to be popular in heaven, and get a reward that shall last forever, you will have to be unpopular here. 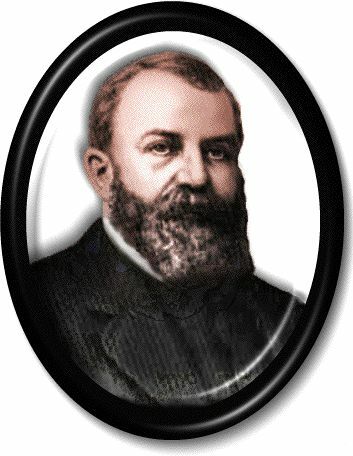 Introduction: D. L. Moody died in the last days of the 19th century. Dr. R. A. Torrey was probably his closest associate and friend. Dr. Torrey was the first superintendent of the Moody Bible Institute and set up a curriculum for that Bible Institute which has been a pattern for others like it. When Moody died, Torrey soon took worldwide lead in great citywide campaigns in Australia, England and America. In 1923 Dr. Torrey was asked to speak at a great memorial service on "Why God Used D. L. Moody," and this is that remarkable address about that amazing man, probably the greatest man of his generation, as Dr. Torrey says. they do not need to be forgiven and saved through Christ. But have you kept them? who can truly say that he has done this? I am ready to be weighed by the law.'? one by one by the Ten Commandments?"